All prices are in New Zealand Dollars and are charged per room per night and include complimentary continental breakfast. Bed, breakfast and dinner packages are also available. Please click on “book now” for further pricing details. 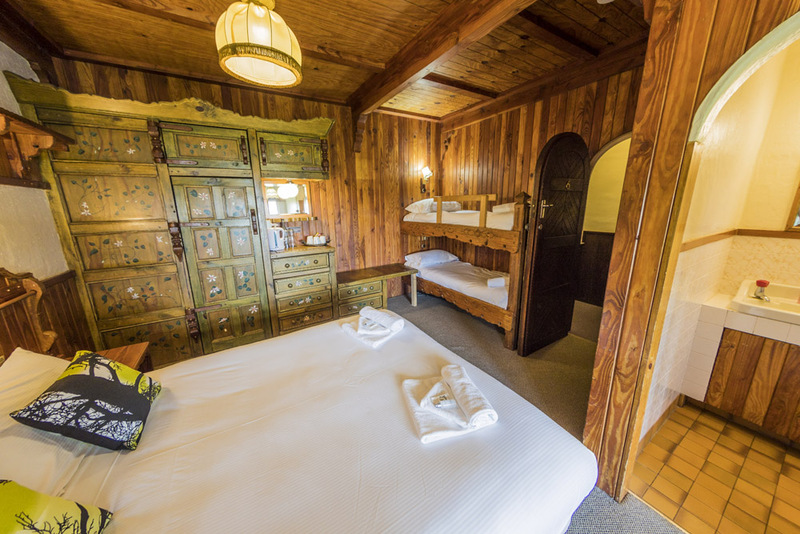 This unique, spacious honeymoon suite offers a four poster bed and an ensuite with bath/shower. Enjoy the view over native forest to the Taranaki ring plain out to the coast. The Anniversary Suite offers a Queen bed with ensuite with shower. 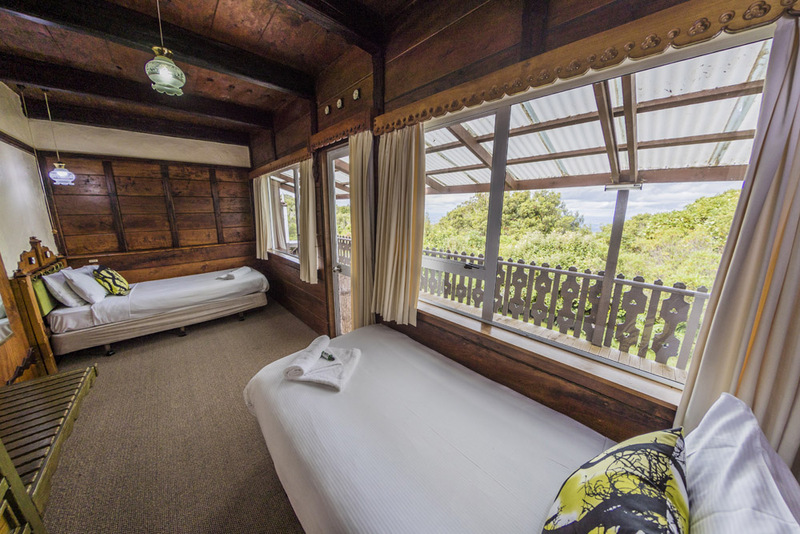 The room has a small conservatory from which one can sit and watch the ever changing views of Mount Taranaki. The ideal room for two people needing their separate beds while still enjoying each others company. 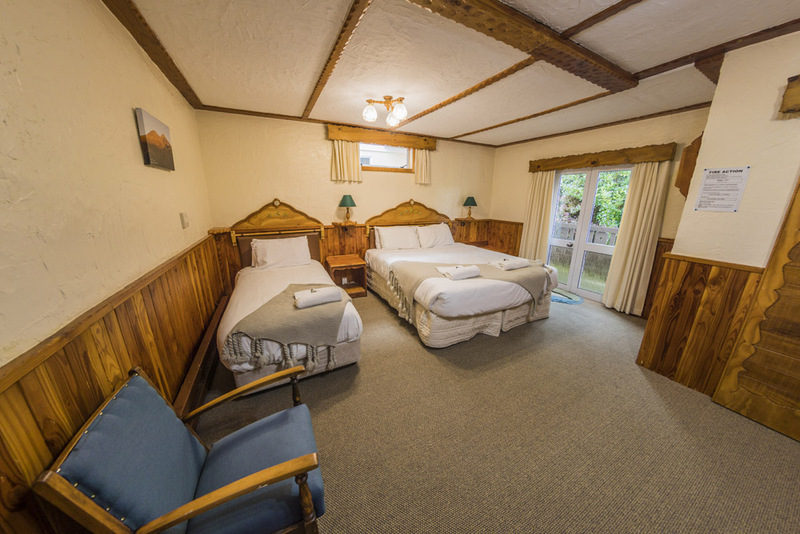 This twin single room features views out over the Taranaki ring plains towards Mt. Ruapehu. 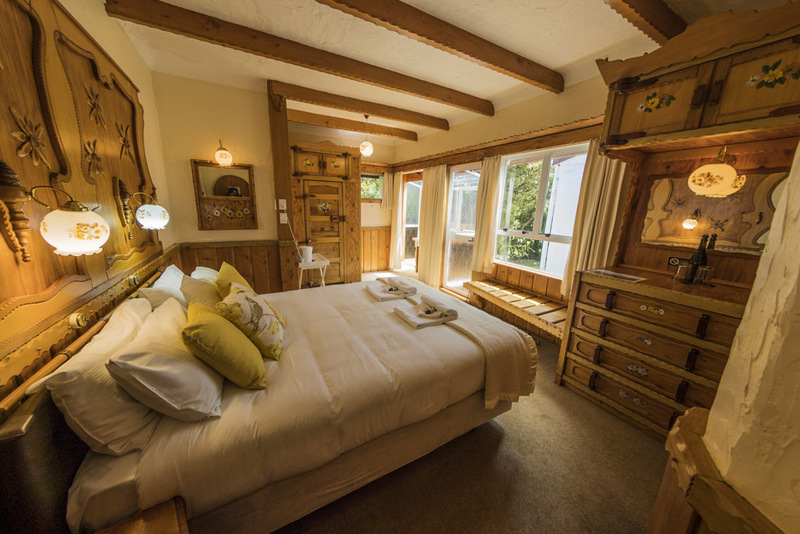 The ensuite has a bath with shower above – perfect for relaxing after a long mountain walk. This compact single room has an ensuite with shower. 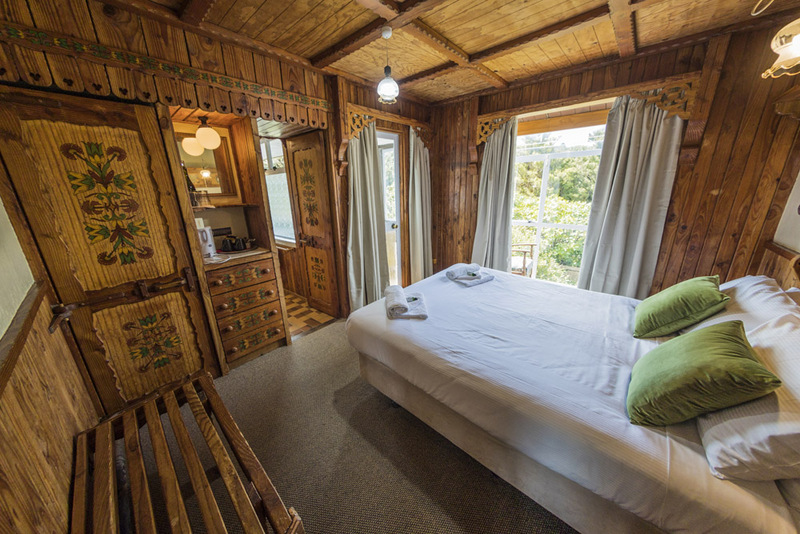 The wooden interior of the room makes you feel comfortable in this Alpine environment. The view is over Taranaki toward Mt. Ruapehu and over the native forest. Right from entering this room you will feel at home. It is warm and decorated in Alpine style. The ensuite has a bath slightly lowered into the floor with a shower overhead. The vista is amazing over native forest to the ring plains towards the South Taranaki Coast with Mt Ruapehu visible weather permitting. As the name indicates, this room offers a view of Mt. Taranaki and over the native forest. Enjoy the views from the conservatory or from the Queen size bed. The private ensuite comes with a free standing bath with shower above. On a clear day you also might be able to see Ruapehu and Tongariro. 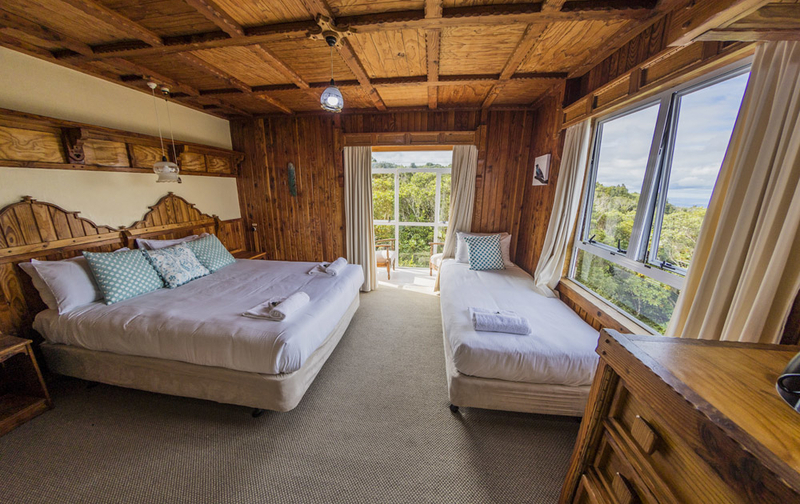 We dare say this room has the best views in the Taranaki (even from the bathroom). From the conservatory you can see Mt. Taranaki as well as Tongariro and Ruapheu. The ensuite has a shower and boast the ‘loo with a view’. Hands down this is one of our most popular rooms. This spacious room with a queen sized bed and a single bed. The ensuite is a bit larger than others and has a shower. The room is accessed via our large conservatory. 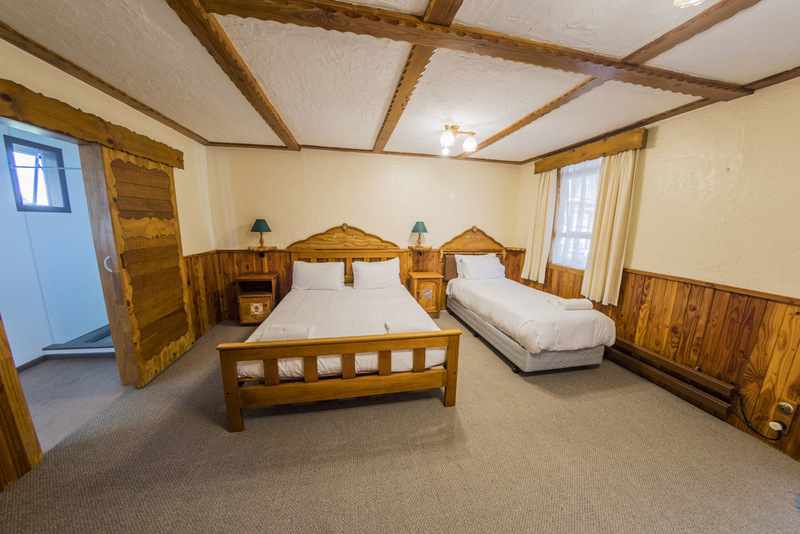 This spacious room has a king sized bed and a single bed in addition to a spacious seating area. The ensuite is a bit larger than others and has a shower. The room is accessed via our large conservatory. A private veranda invites to relax and the view is into native forest. Beds can be split into three singles on request.